Many of our Guatemalan artisans learn to embroider from a young age. Their traditional clothing is always decorated with exquisite flowers. 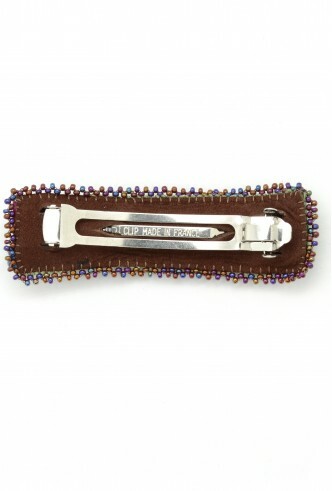 Choose one of our one-of-a-kind floral barrettes embroidered on Japanese grosgrain ribbon. French findings. Length 3-1/2", Barrette clamp 2-3/4"